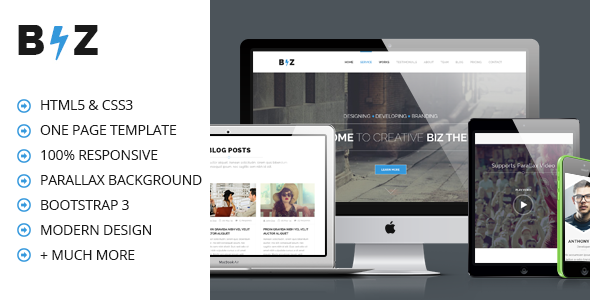 BIZ WP Theme is an attractive One Page Premium WordPress Theme for any kind of business or corporate website. Fully responsive and powerful admin panel with attractive pure CSS3 hexagon effects. BIZ One Page Premium WordPress Theme is clean & modern WP Theme that perfect fit for your business or corporate purpose use. You can also use this as your portfolio theme. Extra blog page is included to give it perfection aiming to fulfill your requirement. Item Reviewed: Biz Multipurpose Business and Corporate Theme 9 out of 10 based on 10 ratings. 9 user reviews.